How does Affirm work? : You will see the Affirm Payment option on the checkout screen. Simply select that and checkout. 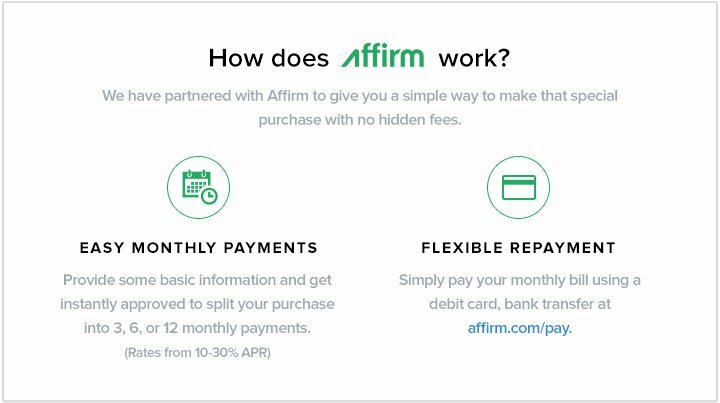 FLEXIBLE REPAYMENT: Simply pay your monthly bill using a debit card, bank transfer at affirm.com/pay.